Popularised, praised and increasingly applied across a range of sectors, from public policy to consumer goods, behavioural economics is becoming the new It-discipline. Better late than never – after all, it’s been around for well over a hundred years. To borrow a phrase from Lee Ross and Richard Nisbett, authors of ‘The Person and the Situation’ – what behavioural economics really is, is psychology “with a name change for business reasons”. Or, something I’ve also heard, psychology of economics. The name change in itself it nothing harmful. Quite the opposite – it was the long-missing trigger to spark interest in the applicability of social, cognitive and decision sciences for policymakers, NGOs, financial regulators, health services, and many others. To this explosion of interest we owe numerous behavioural science units, companies, and, of course, now firmly-established and recognised nudge. The name change dangerously contributed to the apparent dissociation of behavioural economics and its mother discipline we increasingly get to notice. Yet, seemingly a separate field under a more solid label, behavioural economics is in fact inherently rooted in psychology and decision sciences. Judging merely by the name, and the hype, it’s easy for a lot of people to miss that link – the principled scientific understanding of the context and importance of rigorous research, which are absolute essentials for robust applications. Whether out of ignorance, lack of experience with social sciences, or chasing an easy buck, underestimating insights from broader psychological research, often complex and contradictory, is reducing behavioural economics to a blurb at the back cover of ‘Nudge’. And while nudging can be very valuable, behavioural economics and behavioural science in general have more to offer than a menu of quick fixes. At this point, the Russian dolls come in as a handy way to conceptualise what the field is about, and override the ‘all behavioural science equals nudge’ assumption. 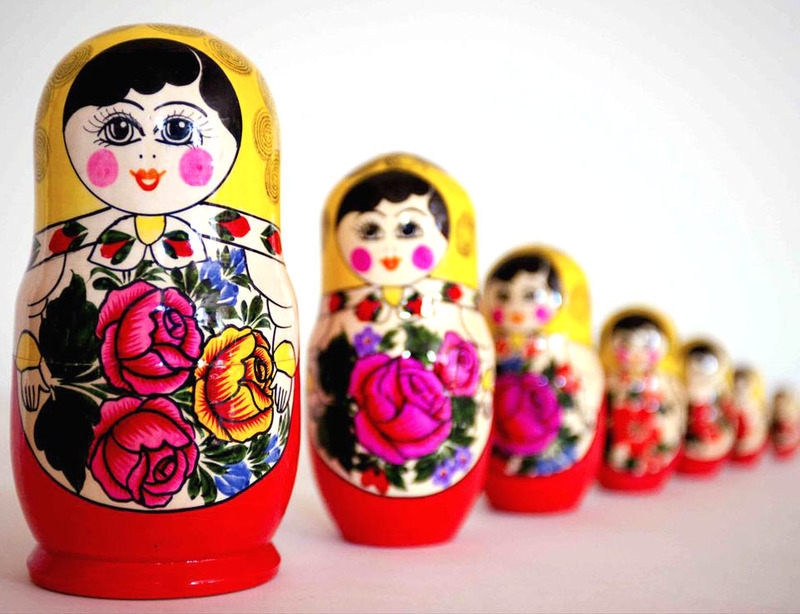 Just as smaller Russian dolls sit inside the larger ones, nudge sits within behavioural economics, which sits within behavioural science, which sits within social, cognitive and decision sciences. As such, ignoring the hierarchical structure, deliberately or not, reduces the entire field to the smallest, innermost doll – putting it at risk of having its own life, commercialised into a glossy wrapper, and unduly detached from the mother discipline, but without sufficient explanatory power of its own. Nudge will not be the answer to all behavioural problems. For others, it might be just what we need. While looking for suitable interventions or behavioural change architecture, it’s easy to be fooled (especially without sufficient training or experience) that all applied behavioural science boils down to behavioural economics, or to nudging alone. It is the scope of the situation, the challenges, and context that should dictate the approach taken – in short, a bottom-up process rather than top-down. In their paper addressed to the UK Government, UCL’s Susan Michie and Robert West advocate a systematic, theory-grounded range of interventions suited to context. And they’re right – if we ever want to claim we’re doing an effective and long-lasting job, we need comprehensive, tailored approaches more often than a ‘one size fits all’ nudge that the public perception (and even some people on the inside – wave the red flag) begin to equate with behavioural science. Michie, S., & West, R. (2011). Behaviour change theory and evidence: A presentation to the Government. Health Psychology Review, 7, 1-22. Ross, L., & Nisbett, R. (1991/2011). The Person and the Situation. Perspectives of Social Psychology. London: Pinter & Martin. Thaler, R. H., & Sunstein, C. R. (2009). Nudge: Improving Decisions about Health, Wealth and Happiness. London: Penguin. Thanks for kind information it is very interesting blog i am happy to read this content.